Paul Ainsworth’s special Little 6’s menu at Number Six is a delight. There aren’t many Michelin-starred restaurants that make children feel so welcome. Watch their faces as they tuck into the peanut butter parfait and popcorn. “The best pasta in the world” announced my nine year old, whilst devouring freshly made tagliatelle with mini meatballs. The children’s menu includes the freshest fish and simple puds. The grown-up antipasti plates are great for sharing too. I smile when I think of the Blue Tomato Café. Good food, a great atmosphere and friendly staff make this an ideal spot to fill up after hours messing about in boats. As well as tasty kids’ food, there’s even a special selection for dogs. There is no children’s menu here, just smaller portions of the delicious grown-up food. The wonderful half-sized Sunday roasts come with their own mini jug of gravy and there’s free cordial on the counter for kids. 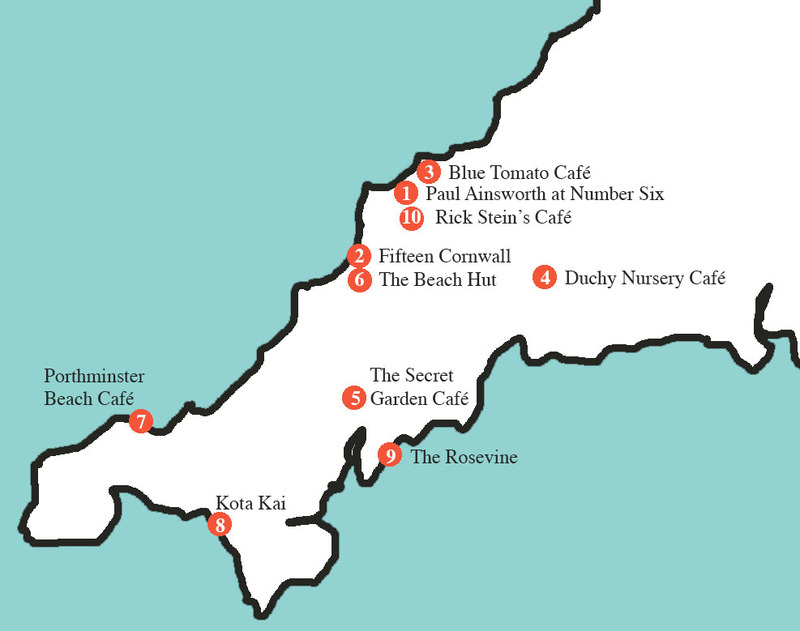 New on the Truro food scene, this little café serves up super healthy, tasty lunches and has a huge chalk board to keep the children occupied. There are some fun things on the kids’ menu, such as crumpet pizzas, and choosing just one of the beautiful cakes might be the hardest decision you make all day. The Beach Hut is the perfect place to hang out after a long day on the beach and its menu will revive adults and children alike. The home of the Extreme hot chocolate doesn’t disappoint with dessert: fresh doughnuts, chocolate brownie or Extreme ice cream anyone? The children’s menu at this small family-friend hotel near Portscatho has both small kids’ and big kids’ prices. Hot smoked salmon with angel hair noodles caught our eye, as did the perfect pudding: chocolate pot with strawberries. Another family favourite with its comfy cushions and benches, grown up and kids’ food is always spot on. Mind you, we’d go here just to get our hands on Stuart Pate’s sunken chocolate cake. Let us know your favourite places to dine ‘en famille’ by commenting below. The Apple Tree Cafe, near Lands End: my husband always gets the vegetarian ‘burger’ with added (definitely not vegetarian) bacon…?! But they do wonderful roasts, stews, quiches and more, and have a great selection of toys for kids of all ages to entertain the kids, as well as a little outside garden. Thank you for adding to our list Pippa! Wild Cafe at Bedruthan Hotel is a super family friendly restaurant that is open from Breakfast right through the day only closing for an hour and a half of the afternoon between 3pm and 4.30pm when it then opens up for a period especially assigned for young diners. Lots of family favorites available and some fantastic ice cream sundaes. please look out for special locals offers that are going on at the moment as there are some great deals for families. Sunday lunches are pretty good here as well but book early as Saturday and Sunday lunches are very busy. Bedruthan has always happily accepted the young ones and everybody is well catered for. You can also buy a fantastic range of our own red stuff & wild preserves, biscuits, chocolate truffles, cakes and biscuits. We are Taste of the west award winning! Thanks Adam, we’ll have to come and check out your Wild Café!